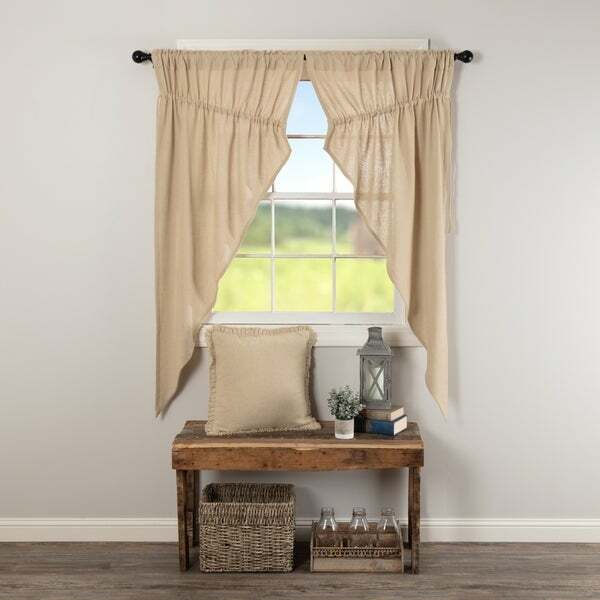 Tobacco Cloth Fringed Prairie Curtain Set - 63" x 36"
Kettle Grove Scalloped Plaid Prairie Curtain Set - 63" x 36"
Burlap Prairie Swag Set - 36" x 36"
The Burlap Chocolate* Prairie Curtain Set graces the window with a warm brown tone with a breezy sheer finish. Enjoy the soft cotton burlap for years; it never goes out of style! Arlington Scalloped Lined Prairie Curtain Set - 63" x 36"